The Florida Legislature has passed the Hidden Liens Bill, HB 267 – Real Property Liens and Conveyances, which is scheduled to go into effect on October 1, 2013. The bill is an amendment to the Recording Act, §695.01 and requires that government entities and quasi-government entities (like a C.D.D.) record most of their liens in the official records of the local county, thereby creating a lien on real property that is binding on a subsequent buyer or creditor. 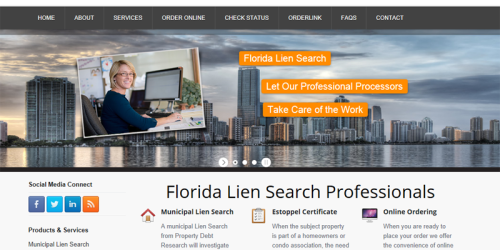 We at Property Debt Research agree with this recommendation from the FLTA, and advise that in order to ensure all issues on the property are discovered prior to closing, you order a municipal lien search. Disclaimer: No Legal Advice Intended. The content of this website is intended to convey general information only and not to provide legal advice or opinions. 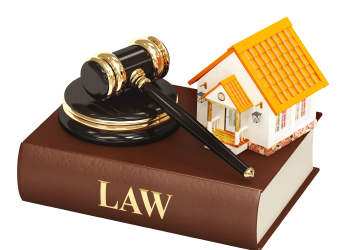 Consult your real estate attorney for details and interpretation of the Hidden Liens Bill. Property Debt Research is pleased to announce the launch of our newly redesigned website! Our goal with this new website is to provide our visitors with greater functionality and an easier way to learn about what we do at Property Debt Research. This product is the result of a lot of work by our management and development team. We have also upgraded our website’s mobile presentation. Beneath this new exterior our core commitment to quality, service, and advanced technology remains the same. We hope you find the new website for PropertyDebtResearch.com to be informative, fresh, and user friendly. Property Debt Negotiation is proud to announce the addition of a new service to our Products & Services offering. To Learn more about how this new service can help you and your clients see Property Debt Negotiation today! PDR EZ Order Customer Portal: Do you want to save time, money and eliminate data entry errors? Now, in addition to our unrivaled speed, accuracy and customer service, we are thrilled to announce our newest innovation, PDR EZ Order. Learn more about PDR EZ Order.